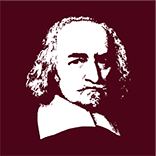 About this book: The book Thomas Hobbes’ Body-based liberalism – A critical analysis of Leviathan presents a fresh, new reading of the contractualistic argument, as it is presented by Hobbes in the English Leviathan. Contemporary Hobbes scholarship focuses on the rational actor and broadly ignores the role of the body and the passions for Hobbes’ political philosophy. This book aims to address this gap and develops an interpretation which highlights the role of the body: the body determines the content and the theoretical limits of the argument in a decisive manner and is the source of a serious theoretical problem, which the author calls “biopolitical Aporia”. Furthermore, focusing on the body can explain the practical role of Hobbes’s argument. The argument can be regarded as an appeal to the bodily passions, which aims at a practical effect: To achieve the obedience of the subjects. This book shows that Hobbes’ rhetorical strategies are grounded in a distinct and differentiated theory of the passions and thereby is an important contribution to the problem of how to read Hobbes’ texts adequately. It discusses the hypothesis of Leviathan as a counsel book for sovereigns and shows the plausibility and the limits of that interpretative hypothesis. In addition to the dominant interpretations of Hobbes through the lenses of game theory and of theory of rights, the focus on the body shows that Hobbes develops a special sort of “liberalism” which has to be understood as a Body-based liberalism. By showing that this kind of “liberalism” has both grave problems of consistency and uses “liberalism” in an external way as a sort of rhetorical façade, this book is also meant as a contribution to the discussion of the historical roots and contemporary developments of liberal states. About this Book: A new collection of 26 original essays on various aspects of Thomas Hobbes’s thought. Gianni Paganini: Hobbes’s Galilean Project. Its Philosophical and Theological Implications’ in Daniel Garber and Donald Rutherford (eds. ), Oxford Studies in Early Modern Philosophy, Vol. VII (2015), pp. 1-46. Abstract: This article focuses on De motu, loco et tempore (Anti-White) and shows the strong impact of Galilean science on Hobbes, not only for his scientific thought, but also for the construction of a new ‘first philosophy’ and for the treatment of theological topics. The context of Thomas White’s book (De mundo dialogi), the Aristotelian and Scholastic, especially Suarezian, background, and Cartesian philosophy as presented in the Objections and Replies to the Meditations are carefully explored in connection with Hobbes’s arguments. Finally, the author tries to demonstrate that in De motu Hobbes was not looking for a ‘fideist’ solution, but for some sort of ‘linguistic compromise’, according to his own conception of ‘first philosophy’ as ‘nomenclature.’ This ‘compromise’ was to be surpassed in the subsequent English Leviathan. Abstract: In arguments for a more tolerant Hobbes, Leviathan‘s endorsement of “Independency” is often Exhibit A; however, the conditionals Hobbes attached have received little attention. These—and the dangers of “contention” and sectarian “affection” they identify—are essential for understanding Hobbes’s views on toleration. Together, they express a vision of “difference without disagreement” in which the accommodation of diversity in religious worship and association depends on the suppression of disagreement through sovereign- and self-discipline over speech. This expressly antievangelical ideal of toleration as a civil silence about difference presents a challenge to the more tolerant Hobbes thesis, particularly in its recent “Erastian Independency” guise. It also raises deeper questions about what might be at stake in applying the labels of “intolerant” or “tolerant” to Hobbes today. Marcus P. Adams, ‘Hobbes on Natural Philosophy as “True Physics” and Mixed Mathematics’, Studies in History and Philosophy of Science, 56 (2016). Abstract: In this paper, I offer an alternative account of the relationship of Hobbesian geometry to natural philosophy by arguing that mixed mathematics provided Hobbes with a model for thinking about it. In mixed mathematics, one may borrow causal principles from one science and use them in another science without there being a deductive relationship between those two sciences. Natural philosophy for Hobbes is mixed because an explanation may combine observations from experience (the ‘that’) with causal principles from geometry (the ‘why’). My argument shows that Hobbesian natural philosophy relies upon suppositions that bodies plausibly behave according to these borrowed causal principles from geometry, acknowledging that bodies in the world may not actually behave this way. First, I consider Hobbes’s relation to Aristotelian mixed mathematics and to Isaac Barrow’s broadening of mixed mathematics in Mathematical Lectures(1683). I show that for Hobbes maker’s knowledge from geometry provides the ‘why’ in mixed-mathematical explanations. Next, I examine two explanations from De corporePart IV: (1) the explanation of sense in De corpore 25.1-2; and (2) the explanation of the swelling of parts of the body when they become warm in De corpore 27.3. In both explanations, I show Hobbes borrowing and citing geometrical principles and mixing these principles with appeals to experience. A.P. Martinich: ‘Leo Strauss’s Olympian Intrepretation: Right, Self-Preservation, and Law in the Political Philosophy of Hobbes’, in Winfried Schroeder, ed., Reading Between the Lines – Leo Strauss and the History of Early Modern Philosophy, Berlin/Boston, De Gruyter, 2015, pp. 77-97. Abstract: As an opening work for Hobbes’s “first philosophy”, De motu, loco et tempore (Anti-White) occupies a very special position in Hobbes’s corpus. Being obliged to follow his interlocutor, Thomas White on his ground, Hobbes could not escape the big theoretical issues raised by White’s scholastic theology. He could not simplify or shorten the philosophical agenda, as he did later in De Corpore, excluding the field of theology from the competence of philosophy. However, the presence of this work in current Hobbes scholarship is very scant. Since it was written originally in Latin and barely addressed political issues, Anglo-Saxon scholars usually have avoided much engaging with it. Yet De motu was a decisive turning point in Hobbes’s intellectual history, both for the foundation of a new scientific ontology and for the bold attack it launched on the pretensions of philosophical theology. About this book: A new edition of De homine, with the Latin and a French translation. There are obvious practical reasons why a new German translation of Behemoth was desirable. The fact that the existing translation has been out of print for quite some time is the most evident one. My new translation makes this important text available in German again. Even if German students are rightly asked to engage with the original text, a reading in translation of their native language facilitates access to the often undervalued sophistication of the arguments in this text. This new translation also offered the possibility to address some shortcomings and even factual errors of the previous translation, done in 1927 by Julius Lips and reproduced more or less unaltered in Herfried Münkler’s 1990 edition. The explanatory notes of this new edition are considerably expanded and key concepts in English are directly inserted in the text, which should lead to a better understanding of what Hobbes was trying to do. Given that Paul Seaward’s edition of Behemoth in the Clarendon edition was published recently, this was also the opportunity to provide references to this edition on each page of the German translation. This allows German readers to navigate easily between the German translation and the English original now available in Seaward’s edition. Apart from these specific needs of German students of philosophy, politics, law and the history of political thought, this edition also provided a welcome opportunity to highlight the importance of Behemoth within the oeuvre of Hobbes’s political thought. In my introductory essay “Behemoth or the Long Parliament im Kontext von Hobbes’ politischer Philosophie” (p. VII-LIII), Behemoth is interpreted as a specific contribution to Hobbes’s political philosophy. Despite the obvious link, already suggested by their titles, there is a closer argumentative connection between Leviathan and Behemoth than has been previously recognised. My introduction traces developments from the Elements via De Cive and Leviathan to Behemoth. I argue that Hobbes was increasingly aware that state authority or sovereignty depended not only on de facto power, but also – and perhaps even more crucially – on the ability to direct public opinion. As has been argued before, Behemoth can be seen as an attempt to influence public opinion and to describe the necessary conditions for how this can be achieved. Two main aspects can be discerned in this respect: the importance of confessional strife and the role universities play in public education. Behemoth was also one of Hobbes’s attempts to ward off the increasingly hostile attacks against him by the Anglicans, who had regained considerable political influence after the restoration. Hobbes tried hard to coin, and influence the use of, concepts through which contemporary discussions of political power and its execution were framed. This was a promising strategy in a serious ideological and political battle. Despite Hobbes’s attempts to portray himself as an objective arbiter of the ideological conflicts of the Civil War, such a position was impossible. One way to understand his goals in Behemoth, therefore, is that it was yet another, albeit failed, attempt to present his theory as above the fray of ordinary politics.